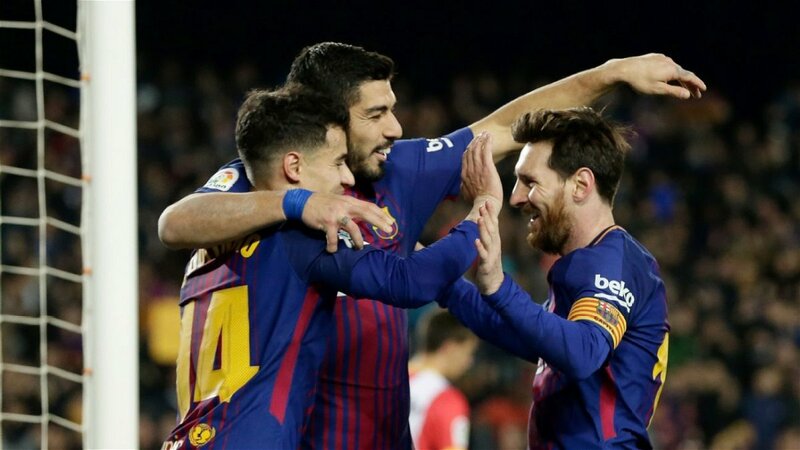 Barcelona ran riot at Camp Nou on Tuesday as they comfortably saw off Manchester United in a 3-0 win to qualify for the Champions League semi-finals. Lionel Messi scored a brilliant curler early on in the game before a David De Gea howler 4 minutes later gifted the Argentine his second goal. The pick of the bunch, however, was a brilliant 25-yard curler scored by Philippe Coutinho at the hour-mark to round off a 4-0 aggregate win. Manchester United fans would be fairly familiar with Coutinho’s strike, having seen the former Liverpool player’s trademark bent finish in the Premier League for years. But the Brazilian playmaker gave a strong message to the Barcelona fans after scoring his team’s killer third goal. 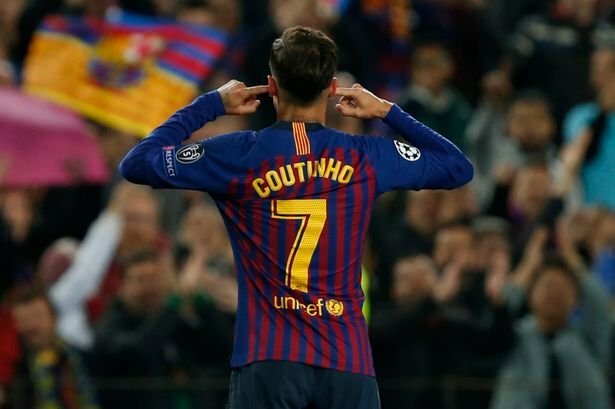 Philippe Coutinho shut his ears in celebration, displaying his frustration at the constant criticism being aimed at him. It has been difficult for the Brazilian to settle in Spain after the mammoth £145 million paid for him by the club to lure him from Liverpool. The Brazilian has been overshadowed by his illustrious couterparts: Lionel Messi and Luis Suarez. Philippe Coutinho was brought in January last year to replace fellow countryman Neymar, who joined Paris Saint-German in the summer of 2017. He had a slow start to his Barcelona career, but has shown glimpses of his world-class capabilities. This season, he has only managed 11 goals in all competitions in over 40 appearances for the club. It is no easy feat to play alongside the likes of Lionel Messi and Luis Suarez, but Philippe Coutinho has been heavily scrutinized for his inconsistent form in a Barcelona shirt. 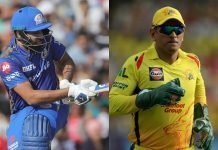 The Philippe Coutinho gesture was an indication to the fans and media of what he is capable of, and how he is not paying attention to any criticism that comes his way. Ernesto Valverde denied watching Philippe Coutinho as he put his fingers in his ears after the goal. “I don’t know, I haven’t seen it”, he responded to Coutinho’s celebration. “I don’t know what it means, so he’ll have to explain it. I’m happy with the goal and what he contributed”, Valverde added. 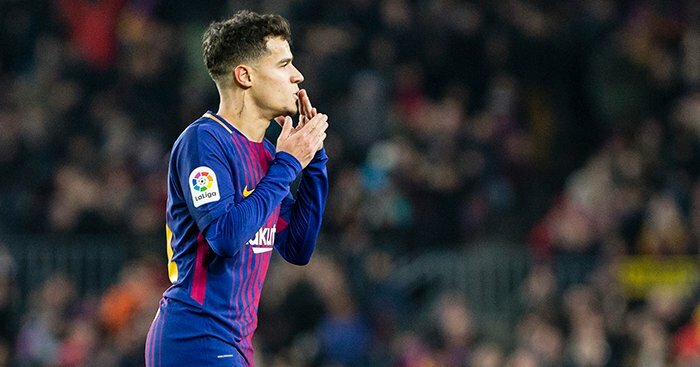 The Spanish manager will hope that Philippe Coutinho can continue kind of form in the next few matches, as his Barcelona team are on their way to secure another La Liga title before resuming Champions League duty at the end of the month. Philippe Coutinho will be key to Barcelona’s chances of winning a treble this season.